It was long ago – in Medieval times, in fact – that the phrase All roads lead to Rome was coined for the first time. These days it feels as though all roads lead to New York. For us, at least, although to be accurate, it’s the rails that will take us to The Big Apple in the coming days, The North-East Corridor carrying our hopes and dreams right into Manhattan’s midst. For Mark Allison too, for whom the George Washington Bridge will lead onto Broadway, the culmination of an epic quest awaiting him at the end of a road astonishing in its length. That Mark’s latest adventure is set to end where ours is due to start is somewhat synchronistic. 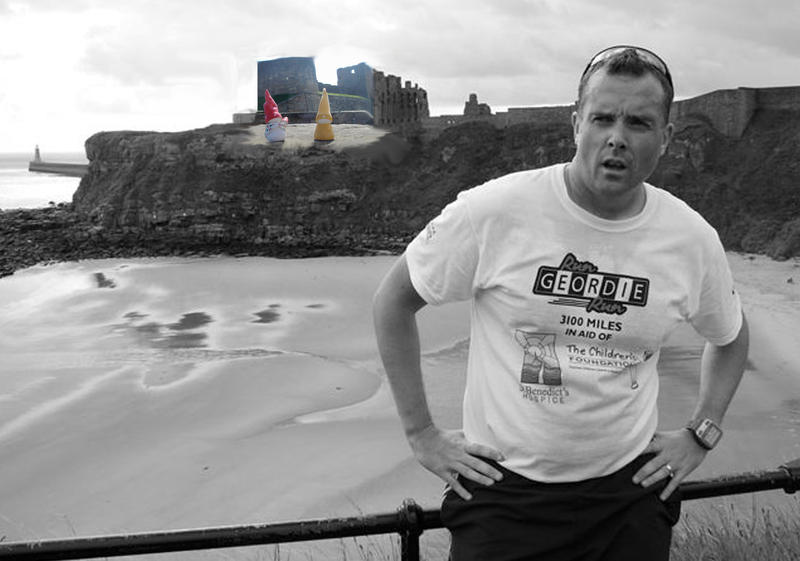 The intrepid Englishman, having run more than 3,000 miles during the last 100 days, is due to arrive in NYC this week. So too are we. Our respective schedules mean that we’ll miss each other by a matter of hours – a shame, for sure – but for us, it’s enough to have followed, supported and encouraged this remarkable runner this summer. He is staggering to the finish line, on his last legs, but let’s remember, Mark has travelled from California, under his own steam, in a little over three months. Those legs have carried him through the Golden State and across Nevada, Arizona, Utah, Colorado, Kansas, Missouri, Illinois, Indiana, Ohio, Pennsylvania and New Jersey, making countless connections en route. New York will be his 13th and final state. Words alone cannot express our admiration for a man pushed to the absolute limits, a man whose efforts have so far raised $80,000 for good causes in the UK. Mark is keen to return to the UK as soon as he can and no-one can blame him. He deserves a break from the United States, a nation he has seen like none of us here. He’ll depart with our most sincere congratulations and our thanks, for this is a man to have inspired us here in Saunderstown, a man to have given our own ambitious quest fresh impetus. For that reason, it’s fitting that we too will be heading North later this week, to make our debut appearance at the New York International Gift Fair at the Javits Convention Center. You see, Mark’s road is coming to an end just as we prepare to set out on our own. He’s always known where his road would lead, but here in Saunderstown, we’re not so sure. Our paths have crossed and our journeys are long and just as Mark has realised his dreams and fulfilled his ambitions, so too will we, we’re sure of it. Preparing to head to the starting line, we’re feeling a little like Mark must have done in Huntington Beach, three months and 3,000 miles ago. He had everything mapped out, but we’re still to find out where this road might take us to. To a similar destination, we hope: to success, to fulfilment, to connection. In that respect, we’ve got so much in common. Mark has spent his summer meeting people and making connections and, as you’ll know, that’s what we’re all about. He also reached for the stars and, for his bravery, he has reaped the rewards. That too is our goal. So it’s onward to New York – for Mark, for ourselves – and it’s onward on the road to success. Congratulations to Mark Allison as he prepares to reach his final destination.